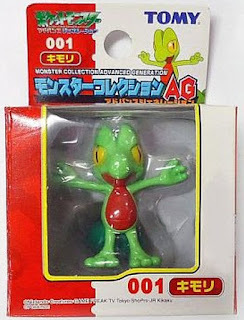 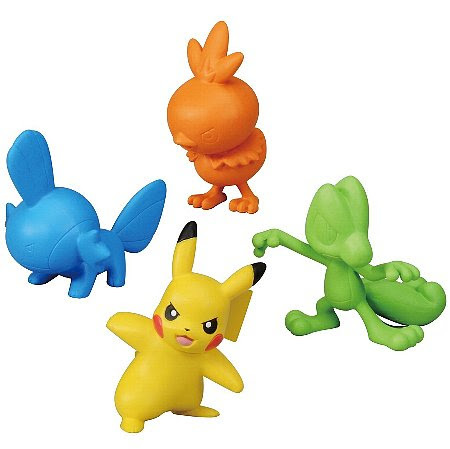 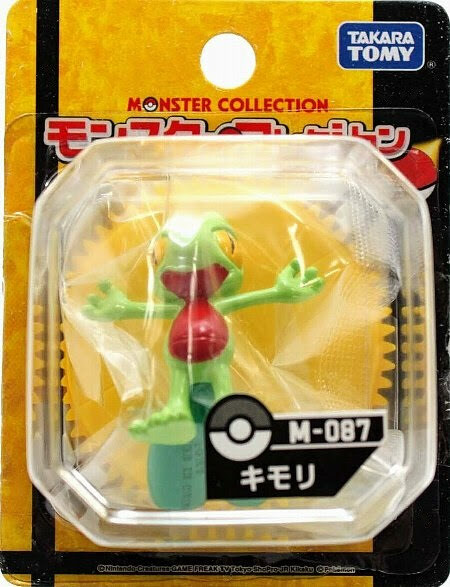 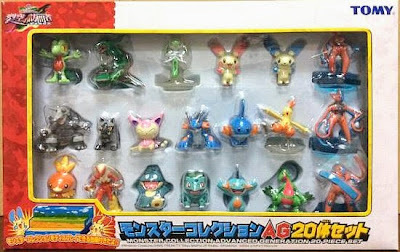 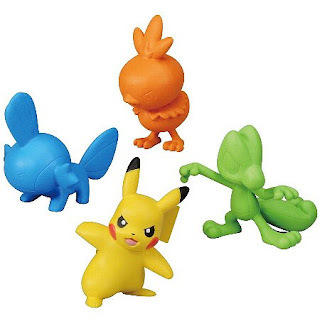 Pokemon figure Tomy Monster Collection AG series Treecko キモリ. Note: AG series number 001 & 252. 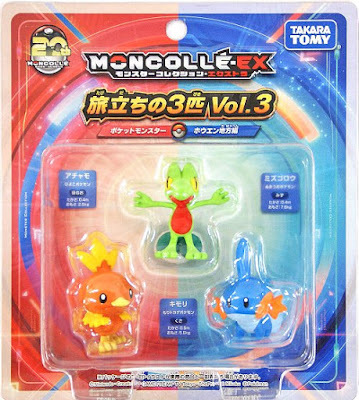 Same pose in Trainer set. 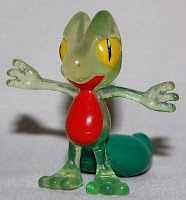 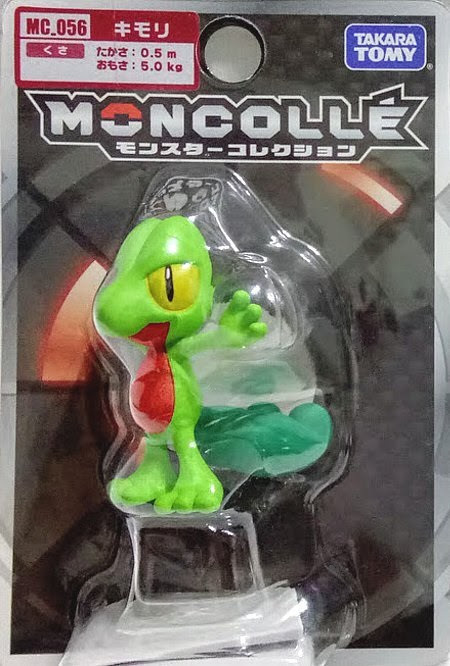 Treecko clear version Tomy Monster Collection Clear key chain. Treecko clear version in 2003 Pokemon Festa. Same pose in AG 20 pcs figures set. 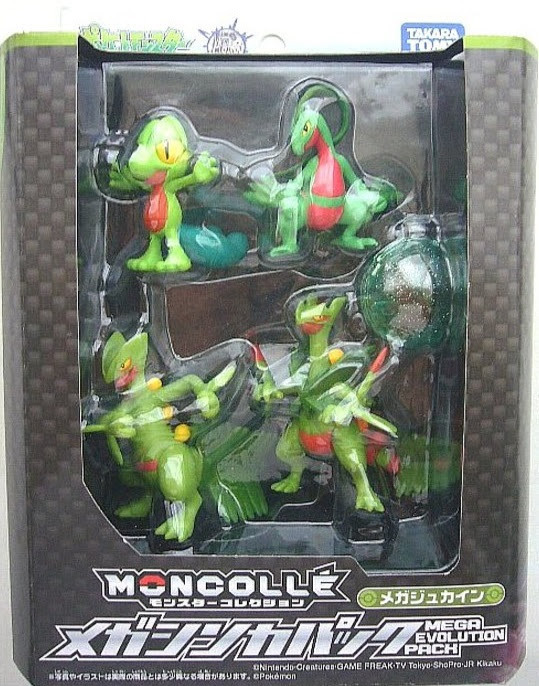 Same pose in MONCOLLE Mega Sceptile Evolution pack. 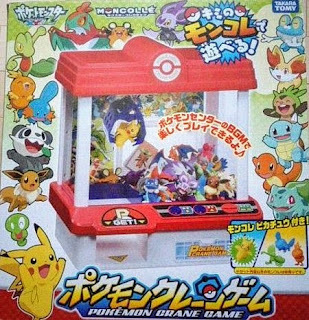 New pose with neutral color in Pokemon Crane Game. Same pose as MONCOLLE MC in MONCOLLE EX Release 20th anniversary Starter set Vol 3. 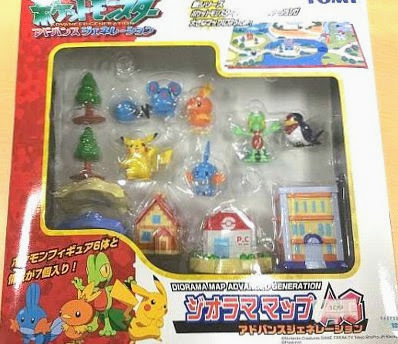 Treecko in YJ Auction ?